Home 2010 Company Christmas Party Christmas Christmas 2010 Hard Rock Hard Rock Cafe Mr. Snow Man rocky snow snow in the rock land snow man The Rock and the Snow! Do you imagine how a rock and a snow look like when they combine?! Well, this picture will tell! Yup this is Mr. Snow Man and Mr. Rocky! Mr. Rocky meets Mr. 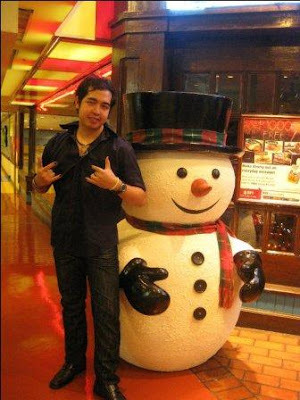 Snow Man! Who do you think is the celebrity and who is a fan?! Who idolizes who?! I'm so glad that I had a chance to take a picture with the cute Mr. Snow Man! If I love to have a picture with him, definitely he also loves to have a picture with me! It's such a very wonderful holiday this could be!